The Sindic (Ombudsman) of the Community of Valencia, José Cholbi, has told the Orihuela City council that it must provide “an adequate waste collection service to the people of the Orihuela Coast”. The mediation of the Ombudsman was requested by the Federation of Associations of Orihuela Costa (FAOC) who said that the service was inadequate to meet the needs of the local population. There was a poor service with the collection of waste, as well as “a poor state and a lack of containers, plus the uncontrolled deposit of rubbish and the dirt on public roads”. In response the City Council has since sent a report to the Ombudsman informing him about the improvements to the service. He said that he values positively the actions undertaken by the City of Orihuela, but states that the collection of waste “is a mandatory public service, and therefore, must be provided to all residents. 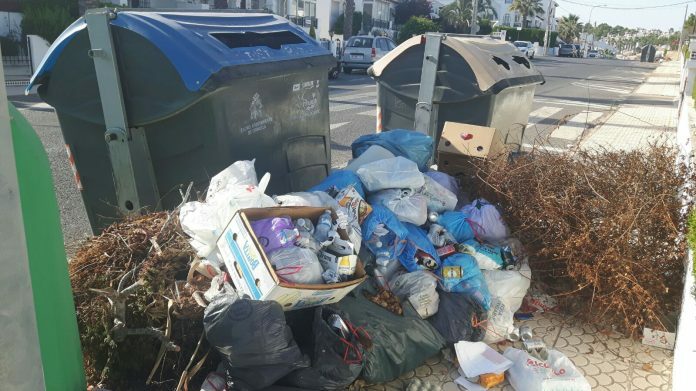 The service must be provided effectively and efficiently, “which is why he insists that the City Council carry out the necessary actions to improve waste collection in Orihuela Costa. He has given the government team a period of one month to accept his recommendation. As a result the FAOC have expressed their satisfaction with the resolution and expect “that the 2018 Budgets will now reflect the recommendation of the Sindic, ensuring that in the Orihuela Costa an adequate service of waste collection and street cleaning is provided in the future”.